Another celebration of fall fruits, this sorbet can be served as a light, refreshing dessert or a palate-cleansing intermezzo course for your dinner guests. Like all of the recipes on this blog, this one is completely dairy-free, but it does have a hint of creaminess, which it gets from the secret ingredient… avocado. Freeze the bucket of your ice cream maker overnight. 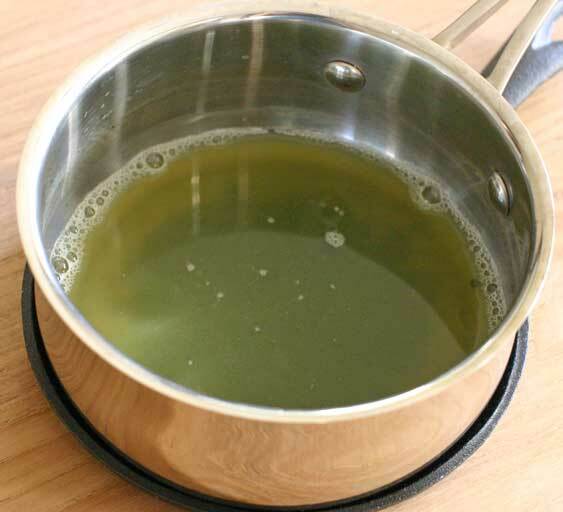 In a small saucepan, bring the water to a simmer. Remove from the heat. Add the matcha powder and sugar, and stir rapidly with a fork or a whisk to dissolve. Set aside. 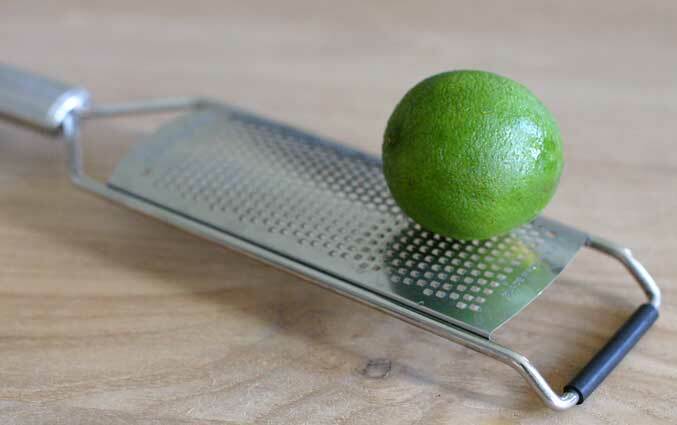 Grate a lime until you have one teaspoon of zest. Try to get only the green part of the peel, as the white pith is very bitter. This means only one or two strokes on the zester in any one spot on the lime. Then squeeze the lime to obtain your tablespoon of fresh juice. 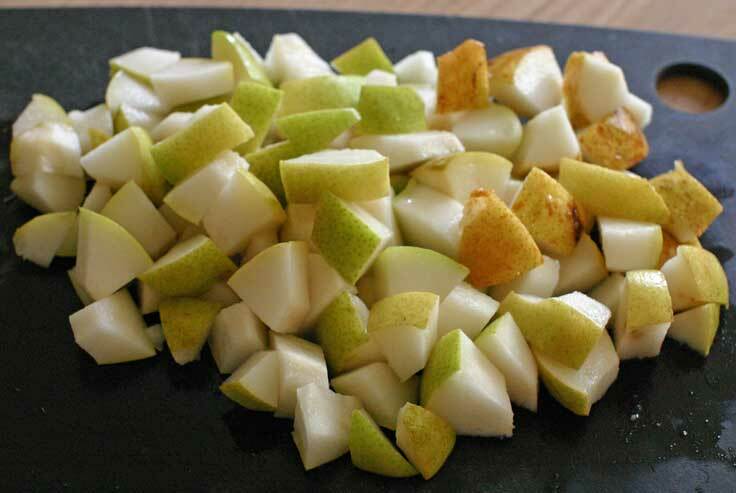 Core and chop the pears into small cubes. You can leave the skins on (but be sure to use organic fruit and of course wash them first). Toss the pears into a high-speed blender. Add the tea + sugar syrup, lime zest, lime juice and avocado. 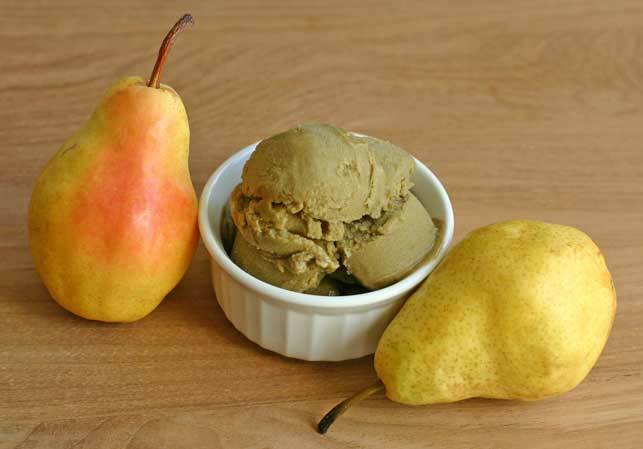 Blend thoroughly on high until the mixture is completely smooth, except for the slightly grainy texture of the pears. 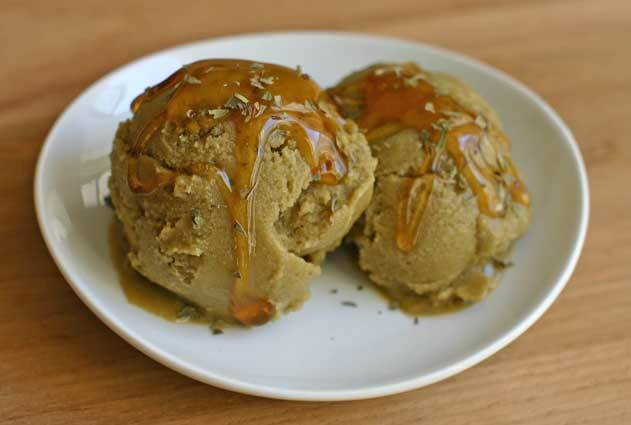 Set the puree in a covered container in the refrigerator and chill it for several hours. Once it’s completely cold, pour the sorbet mixture into your ice cream maker and allow the machine to work its magic according to the manufacturer’s instructions. Store your sorbet in a freezer-proof container. 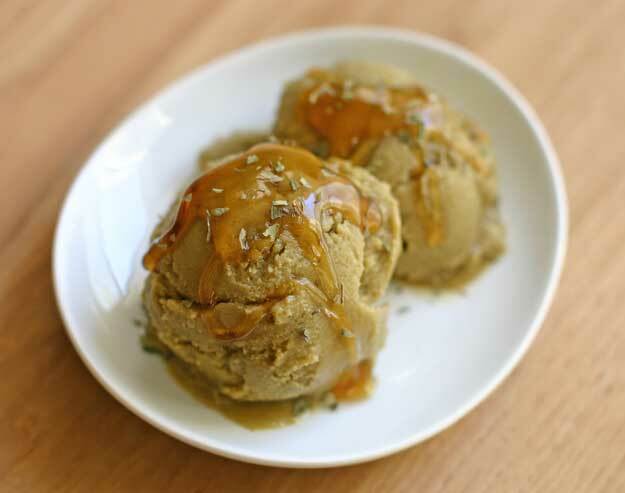 It will need to thaw slightly before you’ll be able to scoop it for serving, but because of the avocado, the sorbet will not freeze into a solid ice cube. I realize green sorbet is not the most photogenic dessert, but I promise, what it lacks in beauty it makes up for in refreshing deliciousness!